What’s so awesome about Kum & Go? As a fourth-generation family-owned business, Kum & Go has always focused on delivering more than our customers expect. More convenience, more fresh food options, more friendly service – and more great beers to choose from! We also deliver more by giving 10% of our profits to good causes in our community. We really focus our beer program on stocking what customers want, which varies from community to community, even store to store! In 2018, we’ll continue to bring a great selection of domestic and craft beer options, including limited-release and hard-to-find beers for the craft beer enthusiasts. 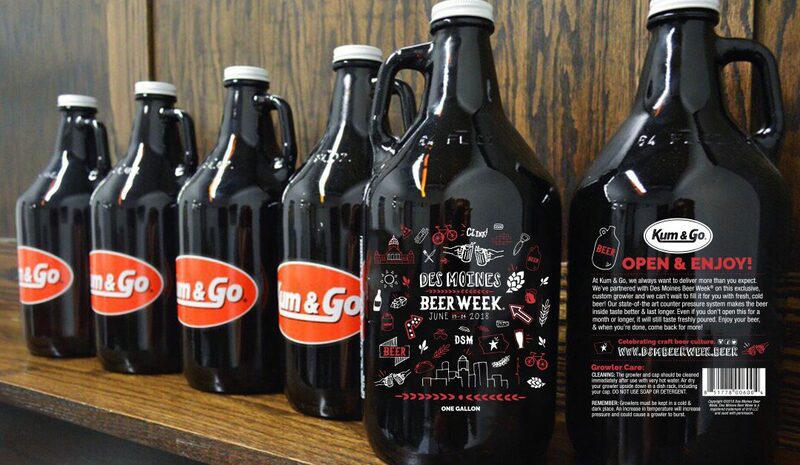 In fact, our next growler release party is June 22nd at nine participating Kum & Go locations. Des Moines has truly becoming a beer town and we love that there is a real beer community here! With several great local breweries, as well as a large group of craft beer enthusiasts, we love being a part of it by continuing to seek out and carry the beers our customers want to drink.